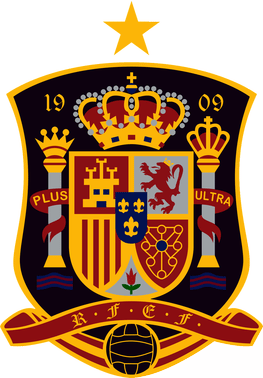 Spain has qualified for the 2018 FIFA World Cup and is one of the favorites of the competition. 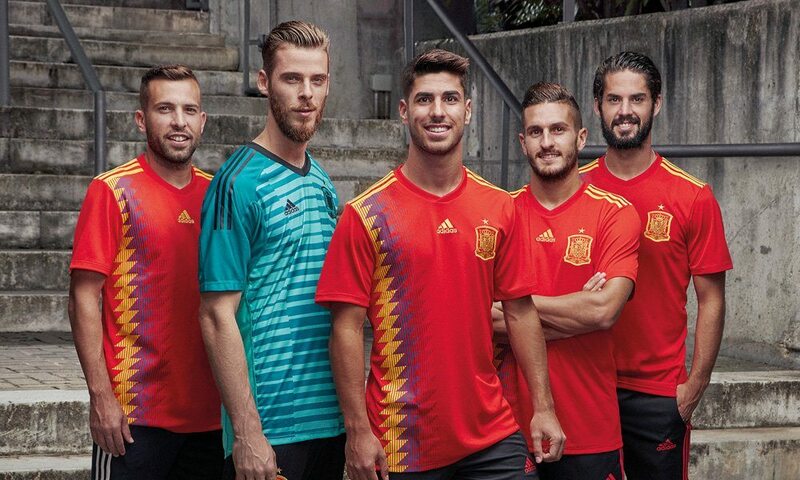 Find out the team squad roster, matches schedule, jersey kits, and wallpapers of Spain for Football World Cup 2018. Julen Lopetegui is the head coach of the Spain National Football Team and Sergio Ramos is the current captain. 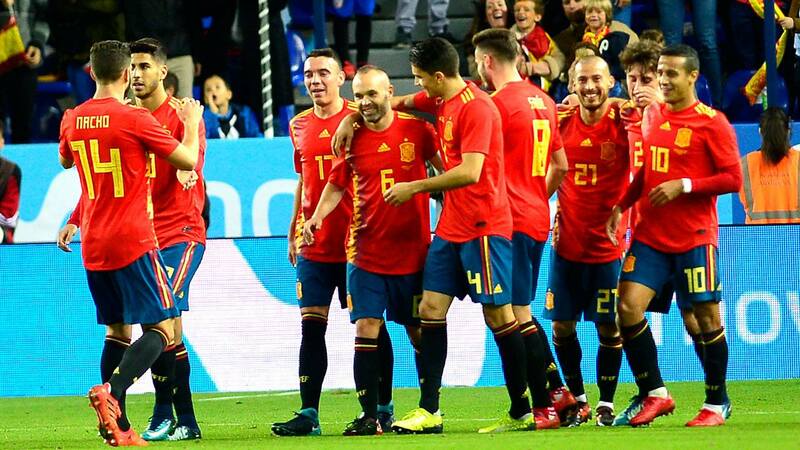 Spain qualified as the winners of their group in UEFA Qualifiers after finishing at the top spot above Italy. Spain is one time FIFA World Cup winner who lifted the trophy in 2010 for the first time. After their disappointing performance in 2014 World Cup, Spain is looking to make a huge comeback in Russia. Spain Football team coach Julen Lopetegui announced a list of 23 players for the finals of 2018 FIFA World Cup. The head coach has made a combination of youth and experienced squad after his remarkable run in European Championships with Under 19 and Under 21. Maximum players from Real Madrid have been picked up by the Spanish coach including young Marco Asensio who won the UEFA Euro U19 with the current coach. Six Real Madrid players which are Sergio Ramos, Dani Carvajal, Isco, Marco Asensio, Nacho Fernandez, and Lucas Vazquez are in the list. Four Barca players in the names of Jordi Alba, Gerard Pique, Sergio Busquets, and Andres Iniesta are also included. Atletico Madrid’s three players Saul, Koke, and Diego Costa made the list. So it is a squad of Spain’s top three clubs with 12 players. 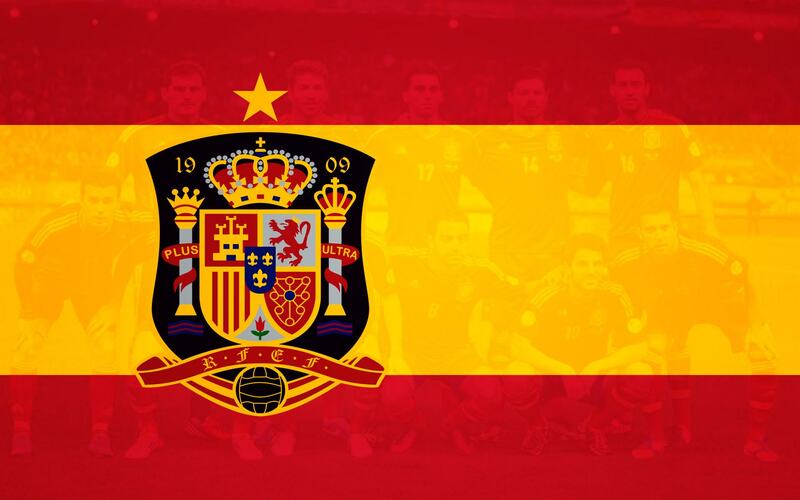 This is the 15th appearance of Spain in FIFA World Cup. Spain is in Group B of the competition with European Champions Portugal, Morocco, and Iran. They will play their first World Cup match against Portugal on 15th June 2018 at the Fisht Olympic Stadium. Do not forget to download 2018 FIFA World Cup printable calendar. 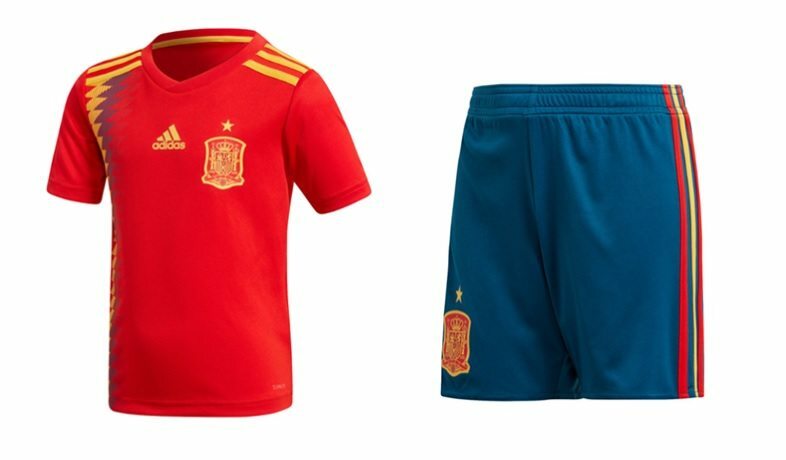 Adidas has unveiled stunning new kit of Spain for this World Cup with a perfect combination of Red jersey and Blue shorts. 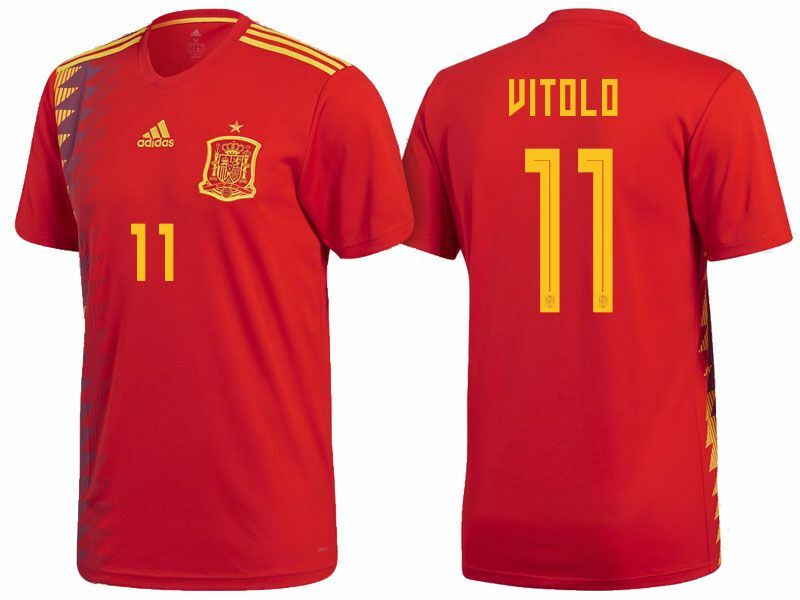 The home jersey of Spain is mainly designed with red as the main color with yellow and violet applications. Front of the jersey is consists of association bade in blue with a single star representing one time Champion. At the center, there is Adidas trademark logo in yellow. Back of the jersey is featured with player name and number in yellow appearance. 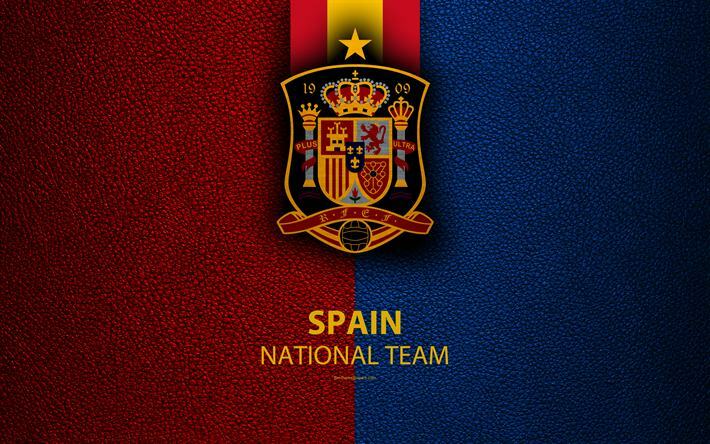 All fans of Spain Football team are allowed to download these high definition wallpapers. Take a look! So that’s all about Spain for the FIFA World Cup 2018. Have any query? Leave your query in the comment box below.